Day 2 - Can You Be Pure? 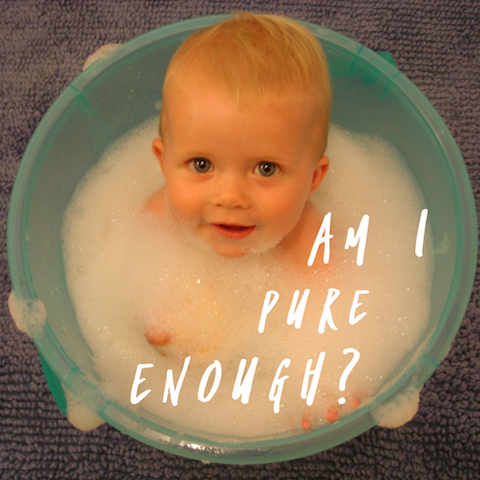 Day 6 - Pure Enough? If you sit on the beach gazing at the sun, you start to become like the sun... bright red and perhaps a bit blistery. You become what you gaze upon. As you gaze upon the beauty of the Lord, you become like him. As you look into His Word and seek the person of Jesus, you become filled with light and purity. 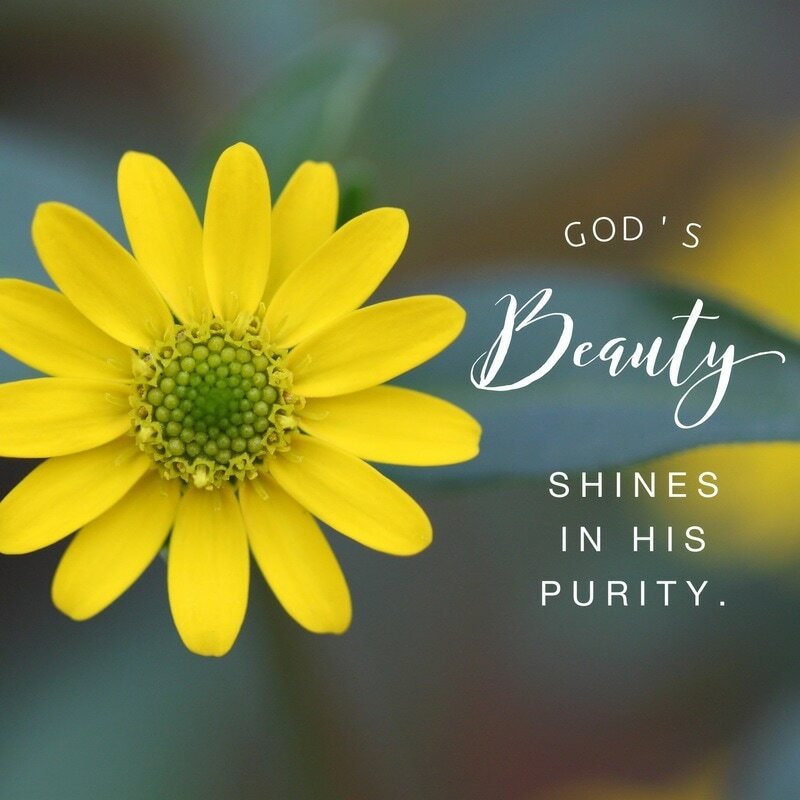 His beauty begins to shine out of you. God’s beauty is compelling because there is not a hint of impurity in it. You cannot find a beauty like him. All other forms of beauty, though often astounding, are tainted with imperfection. Seek God. Gaze upon His Word. You will be changed by his beauty. You will be drawn into his purity. Have you gone too far? Have the stains set in? 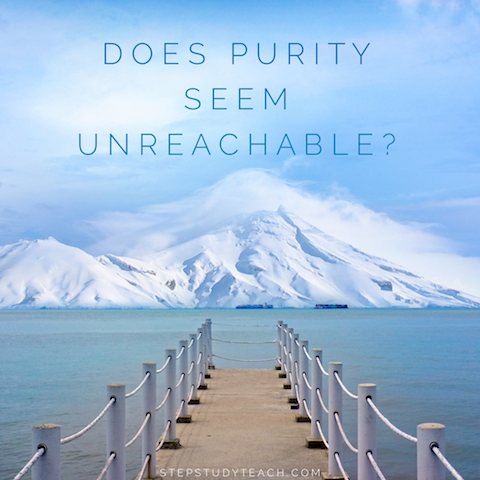 Is the impurity in your life something that even God cannot cleanse? No. Purity is just one choice away. David, the great king of Israel, was a man with deep stains of sin. He was an adulterer and a murderer. Yet, he received a clean heart and a fresh start. David prayed, “Create in me a pure heart, O God, and renew a steadfast spirit within me” (Psalm 51:10). The choice to humble himself, to openly confess his wrongdoing, was the beginning of his cleansing. We must take full responsibility for our impurity. Otherwise we lie and do not live by the truth (1 John 1:6). Purity comes from God, just like David acknowledged. We can spend days and months trying to scrub the dirt from ourselves. But, sheer determination will not bring about the cleansing we desperately desire. So how can we get clean? 1. Take full responsibility for your impurity before God, recognizing that your sin is first against him (Psalm 51:4). 2. In humility, cry out for God’s mercy and a hatred for impurity (Psalm 51:10-12). 3. Walk in the light (be vulnerable and honest) with brothers and sisters in the Lord (1 John 1:7). Purity is one choice away. For further reflection, read Psalm 51 and 1 John 1. God chose us before the creation of the world to be holy and blameless - to be pure. But why? Does he desire a population of perfect robots? God actually believes that our purity (our holiness and blamelessness) is vital. He makes a huge point out of it. God sent his Son, Jesus, to earth so that we could be pure. Jesus sacrificed his life on the cross so that we could be pure, without blame or accusation. If God went to such lengths to secure our purity before him, it must be incredibly important. 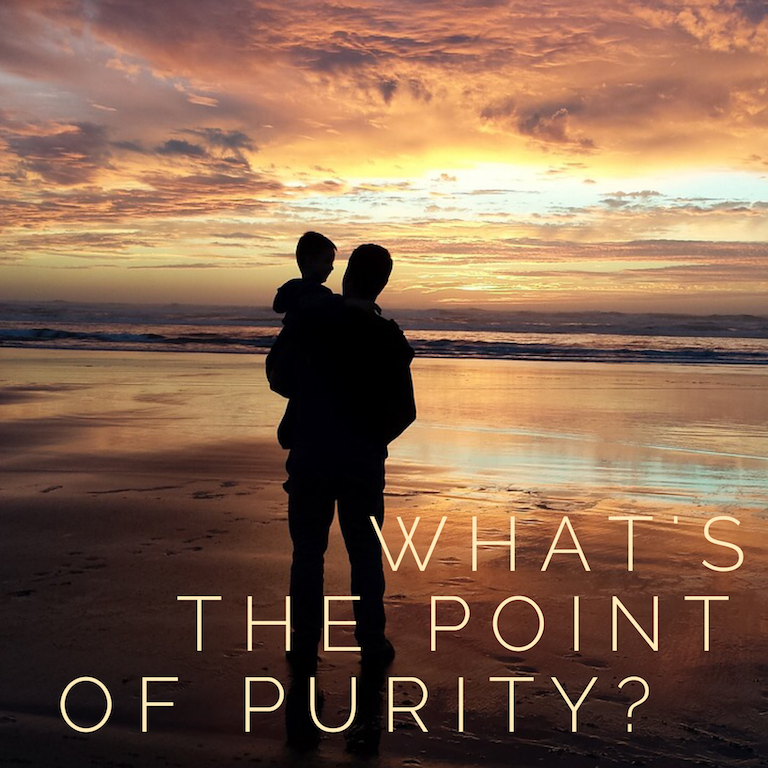 Why is purity so important... what's the point? Without purity, we cannot be close to the Father. Purity leads to intimacy - intimacy with God. 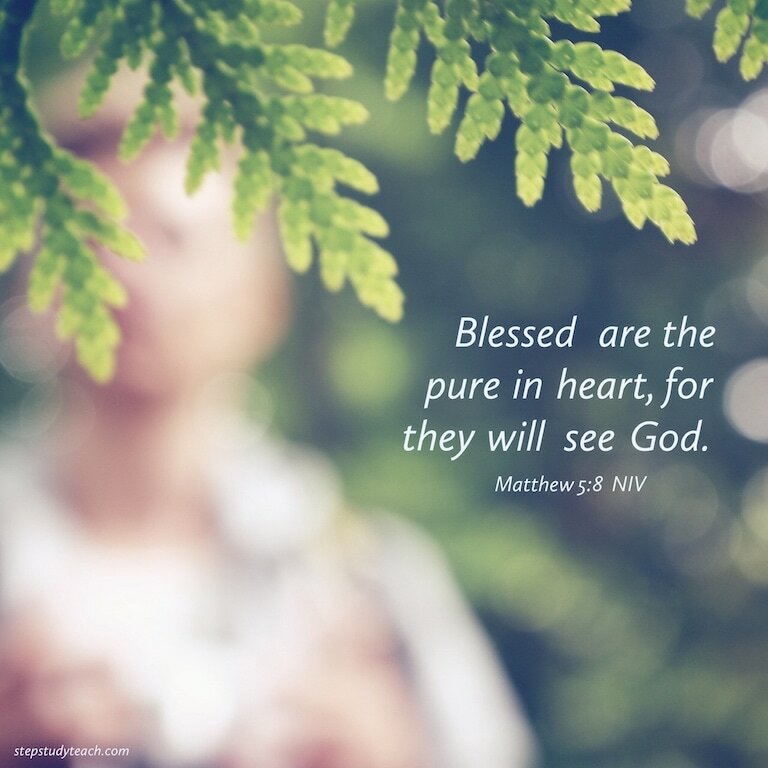 Matthew 5:8 says, "Blessed are the pure in heart, for they will see God." 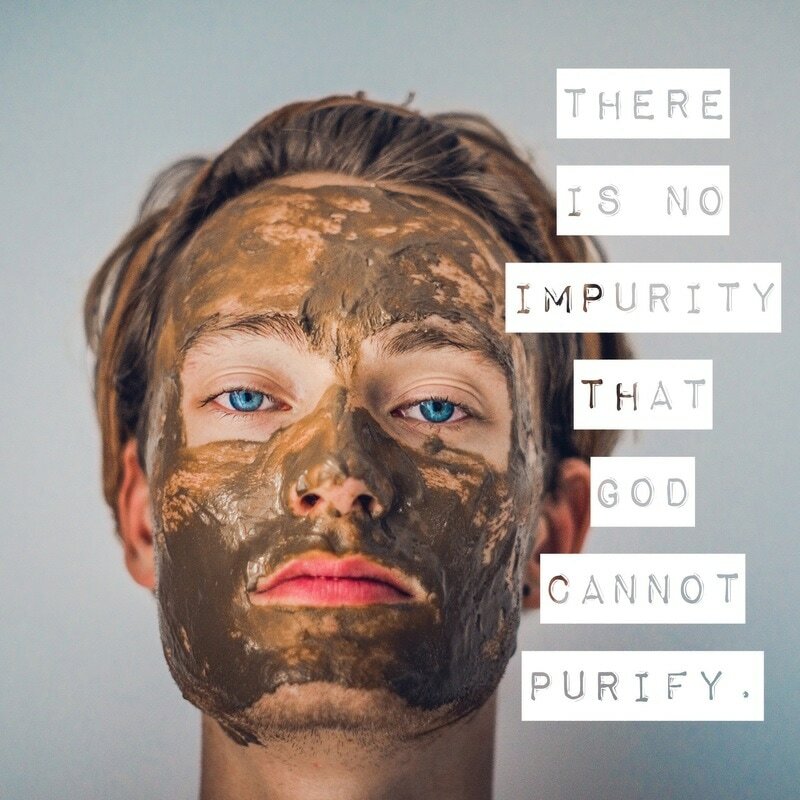 God does not want to make us pure for purity's sake. It is for the specific reason of having an intimate relationship with us. So, God made a way for us to be stamped with the purity of Jesus (through his sacrifice on the cross). He also made a way for us to walk in purity today. Not only legally are we made pure and right before God, but we can also walk in purity on a day by day basis. The more we walk in purity before God, the more we will experience intimate fellowship with him. Read Ephesians 1:3-10 for more insight. Do you feel like you’re standing on the dock with a big gulf in between you and that hill? Does it seem like purity is one step too far? In 1 Peter 1:15 we read, “But just as he who called you is holy, so be holy in all you do.” Would God tell you to do something and not mean it? Would he ever manipulate us with his words? No. He means what he says. Purity is possible. Is it not a never ending pursuit, like a dog chasing its tail. So, how is this possible? Right now you can ask him if there is any impurity in your life. He may speak to you from his Word or his quiet prompting. As soon as he convicts you of impurity, take a few moments to acknowledge this sin before him. Choose to repent and turn from your impure ways. He has promised to forgive you (1 John 1:9). Now get up and keep walking on with your Father in purity. There should never be a moment when you hopelessly sit in impurity - as if there is nothing to be done. Your Father has bought your purity with the death of his Son. He has also made a way for your practical purity as you listen to his voice. You are never without hope or a practical solution. You can walk in purity. It is possible! Will you listen and respond to your Father today? 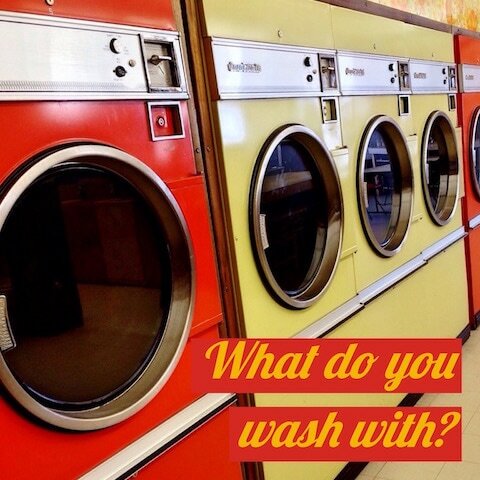 What do you wash with? How do you get pure? The people spoken of in Revelation had a very interesting detergent for their clothes. Blood. But, it wasn't just any blood. It was the blood of the Lamb, Jesus, that washed the stains out of their robes. His blood made their robes white. They were made pure. ​How much time and effort do we spend on detergents that do not work? We think that greater discipline will bring the cleansing. Perhaps, a dose of self-sacrifice will get the stains out. Or maybe self-punishment will bring purity into our lives. But, none of these will ever provide for our purity. There was a blood sacrifice already performed for you. Jesus' blood is the only means for your purity. Your sheer effort will never bring about the complete and thorough cleansing that you seek. The Father's justice was satisfied in his Son's blood sacrifice. He now offers to wash your robes in the blood of his Son, Jesus. You can make a decision to receive Jesus' gift of purity and to turn away from your impure ways. As you do this, your robes become white, having been washed in Jesus' blood. The only detergent that works to completely wash out all of the stains of sin is blood - Jesus' blood. Waste no more time. Humbly receive this precious gift today and walk in purity. Start walking in your new white clothes. How pure is pure enough? If you take a look at your life, do you feel pure enough? Most likely there are certain stains that don't seem to come out - hard as you try to scrub them. Perhaps a better question is this - Is Jesus pure enough? Answer - yes! Jesus, the sinless God-man, was the only one who could sacrifice himself for all our impurities. He paid the penalty of death for every choice of impurity that we have made. Jesus did not stay dead with all our impurities attached to him. He rose from the dead in power triumphing over deep seated patterns of impurity. The risen Jesus makes it possible to walk in purity today. You can try to purify yourself. But you will try and try, scrub and scrub, with a sense that you are never pure enough. You can, however, submit yourself to Jesus. Receive the gift of his purity paid for you. How then can you actually be pure enough as you walk through this day? Walk through this day in relationship with Jesus. Allow him to convict you of impurity. Respond to him in repentance. Allow Jesus to encourage you to make pure choices. Don't try to be pure enough. Simply respond to his purity given to you through his death on the cross and his leading in your life today. What is your perspective on sexual purity? 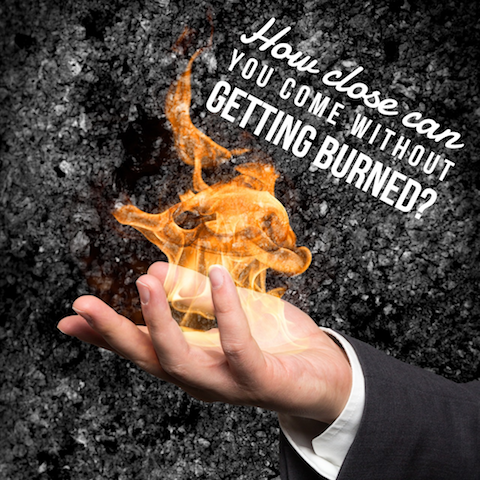 Do you want to know what God says so that you can please him, or so you can get as close to the fire without getting burned? God desires purity. His heart is to protect our relationships. He would never want us to defraud each other. He says that there should not even be a hint of sexual immorality or impurity among us. This is very clear. Do not even get close to the fire. God is not pleased when we try to "beat the system" and get away with as much as we can without sinning. Is there a "hint" of impurity in what you watch? How about your relationships? Is there a hint of immorality in your boyfriend / girlfriend relationships? Is there a hint of unfaithfulness in your marriage? Are there hints of lust allowed in your thought life? Allow God to search you and speak to you about the hints of impurity. Make it your aim to please him, not play with fire. Do you find it hard seeing God, hearing His voice, seeing His movements in your life? Check your heart for impurity. God wants to bring greater purity and clearer vision into your life, so you can see Him and what He's doing. 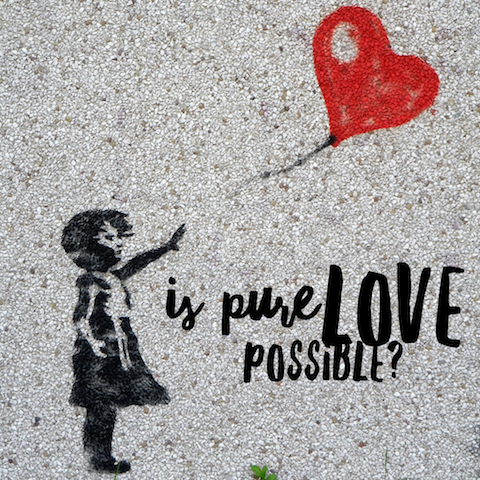 How do we gain a pure heart? We often think that comes by emptying ourselves of filth or sin. In fact, the passage above tells us to "flee" evil desires. We are to run from these wicked impulses that would seek to contaminate us. Purity, however, comes not only from distancing ourselves from sinful desires. It comes through pursuing righteousness, faith, love and peace. To purify is not just an emptying process. It is a filling process. We need to intentionally fill our lives with God's ways. How? Follow Jesus' model. He actively pursued his relationship with his Father. He walked by faith in his Father's word, rather than relying on his own experience. Jesus consistently treated people with love, leading them toward peace with his Father. 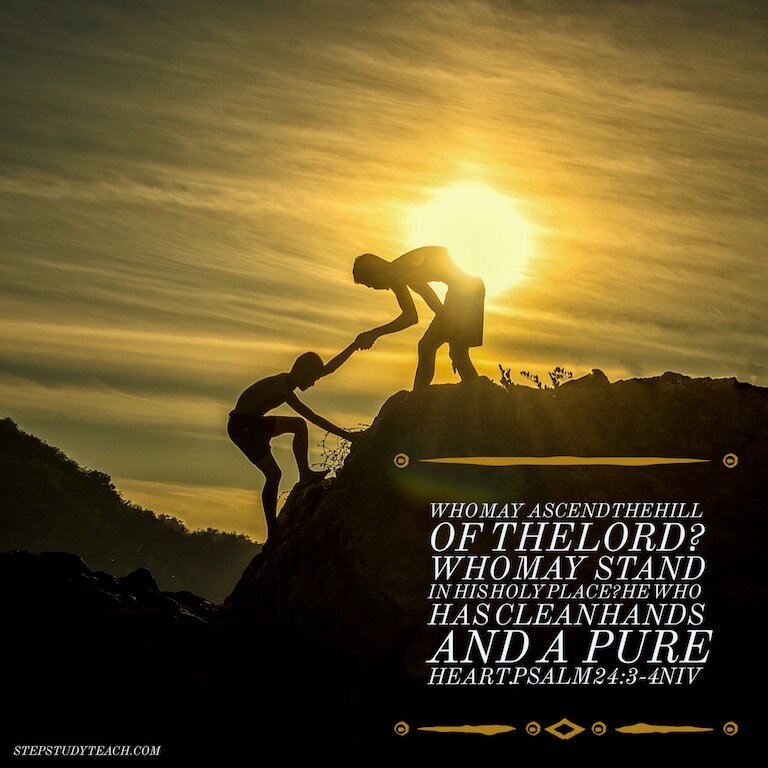 When we fill our lives with God's desires, instead of evil desires, we will have a pure heart. 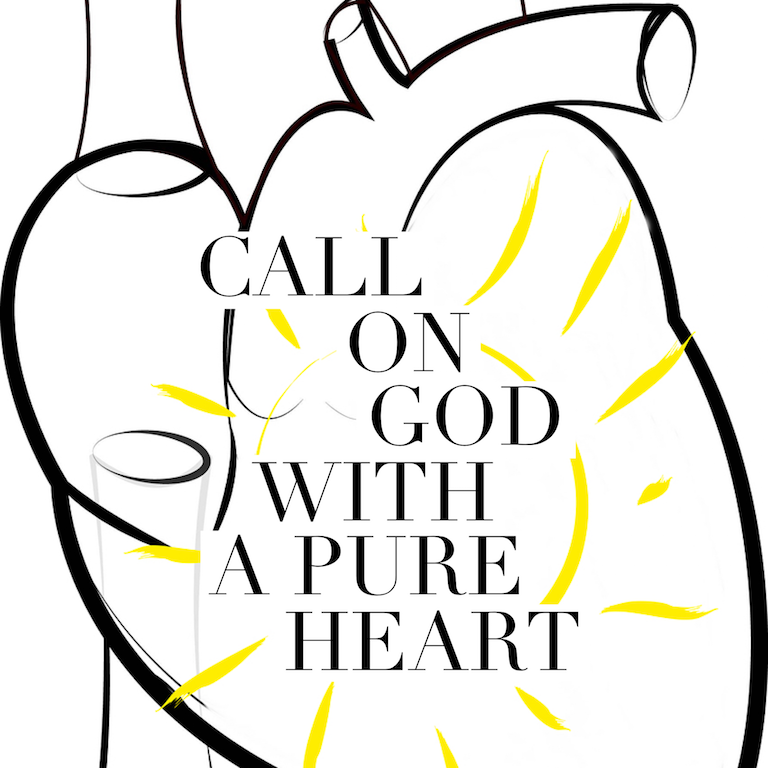 Out of this pure heart, we can be confident as we call out to God. Our lack of confidence in prayer often comes from impurity that lingers. Gain purity, and you will gain authority in your prayer life. Do you have a relationship with Jesus? Are you excited to see him face to face one day? This will be the ultimate fulfillment of all your dreams, of every longing of your heart. There will be no greater experience than this one. All other hopes that we have in this life pale in comparison to the reality of seeing Jesus one day. 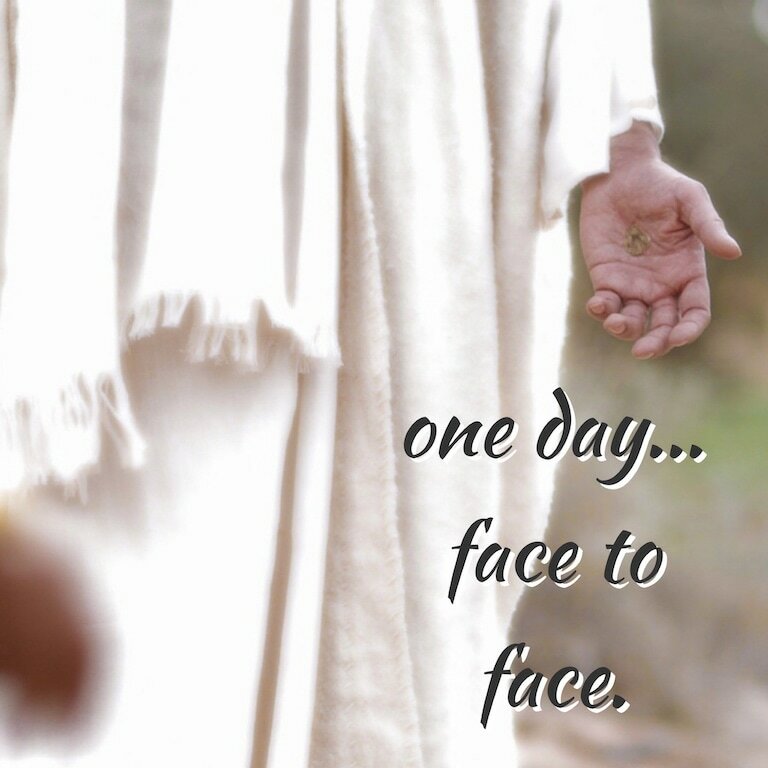 Does this hope of seeing Jesus face to face overtake other hopes in your life? We know this day is coming, but we often just live in the present… not giving much thought to what is coming. So, we settle for the hope of a good weekend, a nice sleep-in or a delicious meal. These hopes, though not wrong in themselves, can muddy the waters as to what we are really living for. We tend to live with a mixture of hopes - hope for Jesus, hope for friends, hope for holidays, etc. But, the person that lives with the hope of seeing Jesus face to face walks in purity. This hope keeps us focused on what is most important in this life and the next - seeing Jesus. When we are looking for Jesus, we will reflect what we are looking for. Even though we do not see Jesus face to face in this life, we can still watch for him. In the watching for and seeking of Jesus, hope grows within us. As this hope grows, our thoughts and motivations get purified. We are living for one purpose - to see Jesus. "And when Jesus appears, we shall be like him." What an amazing moment that will be. Set your gaze on this truth today. Let hope stir up within you. Let him purify your vision. Enjoy driving cruise control? Set your speed - not too fast, not too slow. As long as your pace matches those around you, all will be well. 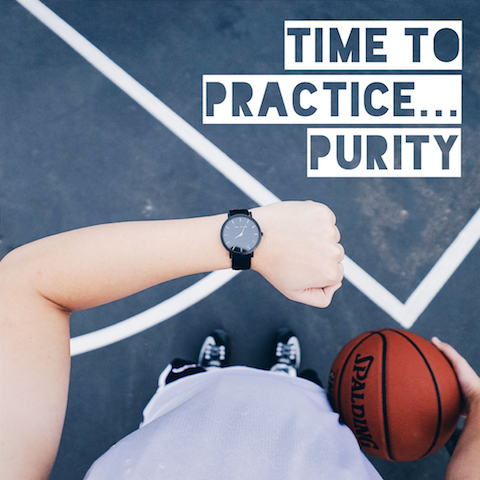 How do you set the pace of your purity? Do you make sure you are just flying under the radar? In 1 Timothy 4:12 Paul admonishes Timothy to set the pace for purity. "Set an example" for everyone in your purity. In what you watch - social media, tv shows, movies, internet surfing - do you just follow the pace the culture sets for you? In your music listening - do you set a godly standard or do you just stay away from the very explicit songs? In your words - do you let internal conversations of abusive language roll? What is God's standard of purity. Look like Jesus. How can this be done? Watch content, listen to music and speak words with the knowledge of Jesus sitting with you. Allow him to reveal his best path of purity to you. 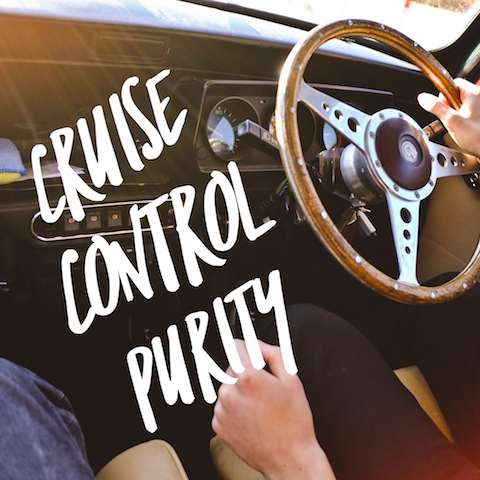 Don't settle for cruise control purity. Drive at God's speed. Do you ever find it difficult to love someone? You know God commands you to love, but you have mixed feelings. You feel conflicted. How is it possible to really love someone? You need a pure heart, pure motives. If the basis of your love is someone's worthiness, you will always have mixed or impure motives. Loving with a pure heart means loving for Jesus' sake… loving another because you have been so gripped by His love. "We love because he first loved us." 1 John 4:19 NIV. Loving others out of a personal experience of Jesus' love is pure love. But don't wait for a greater experience of Jesus' love before you begin loving others. Step out in obedience, and Jesus' love will meet you on the way. He will enable you to love with a pure heart. Some people try to find purity through seclusion from the world. If the world is full of evil, then they want to get as far away as possible. Purity can be seen as simply voiding oneself of evil influences and desires. But, God has a different way. His opinion is the most important. 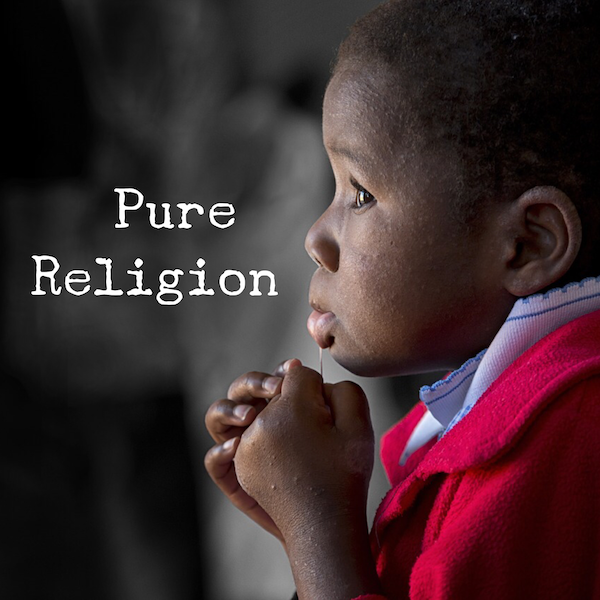 Pure religion, according to the Father, is all about putting our faith into practice. Specifically, he calls us to care for the most vulnerable in our world - the orphan and the widow. Pure religion is full of active compassion. It is not about escaping the world. Rather, it engages the world head on and works for justice. Those who practice pure religion keep themselves from being polluted by the world. They don't keep themselves from the world. For it is possible to live in the world, but not be of the world (John 17:14-19). The pollutants in our world (the subtle evil influences in relationships, media, financial dealings, power struggles and more) have a damaging effect on our whole beings over time. God calls us to steer clear of the polluted air. This is something we can do. The pollution is not unavoidable. We have been given God's power to practice pure religion as he defines it. Whatever is in our heart eventually comes out through the mouth. God desires that our whole being is pure, so that our pure heart will bring out pure words. But, this doesn't always happen. This is why we can praise the Lord with our mouths in one moment and then breathe out words of criticism against our brother in the next. This should never happen, but it does. Why? There is still impurity in the heart that needs to be dealt with. "The good man brings good things out of the good stored up in his heart, and the evil man brings evil things out of the evil stored up in his heart. For out of the overflow of his heart his mouth speaks." Luke 6:45 NIV. Pure words come from specific choices to stop speaking or breathe life through our words. Self-control is key here. The best way to practice self-control is to give God control. "Do not let any unwholesome talk come out of your mouths, but only what is helpful for building others up according to their needs, that it may benefit those who listen." Ephesians 4:29 NIV. And again God tells us, "Nor should there be obscenity, foolish talk or coarse joking, which are out of place, but rather thanksgiving." Ephesians 5:4 NIV. These are specific commands regarding how we use words. Do you build others up with your words? Does thanksgiving easily flow from your mouth? Give God control over your words. Commit to him that you will close down words of death and breathe out words of life. "...and we take captive every thought to make it obedient to Christ." 2 Corinthians 10:5. Guard the gates of your mind. 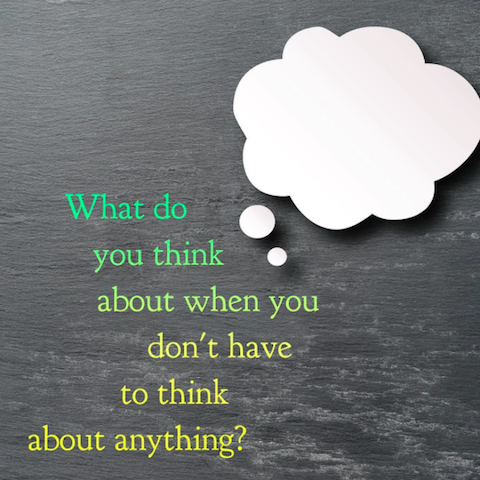 Take captive every thought to make it obedient to Jesus. Don't let any thoughts of comparison, judgement, lust, or pride sneak through. A little bit of impurity spoils the whole person. A pure life is built choice upon choice. It does not magically appear one day after 20 years of being a Christian. Purity is grown and maintained by the practice of inhaling and exhaling purity. What does this mean? The constant input of the pure Word of God is necessary to grow personal purity. When a person is very hungry, they "inhale" their food. In the same way, we are called to "inhale" the Word of God -- feed on it, keep chewing on it, devour it (Psalm 119). In order to practice purity, you need to be tapping into the correct source of purity, God's Word. But, it doesn't stop there. 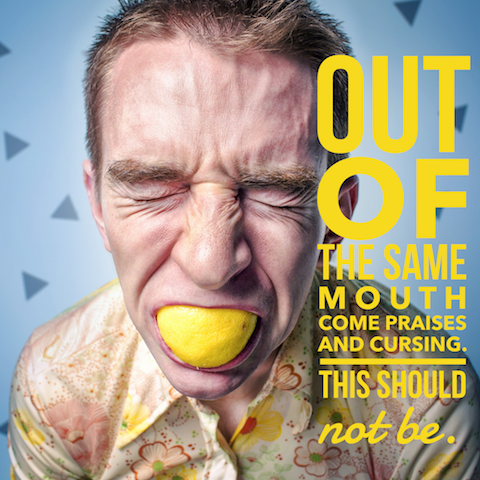 The "exhaling" of God's Word through our actions and mouths is critical to our purity. Knowing the truth is one thing. Obeying the truth will bring purity alive in our lives. This active use of God's Word is like holding a cup under a tap of running water. After a while, that cup is bound to be cleaned from all impurity. Hold your eyes, mind and spirit under the opened tap of God's Word. He will bring great cleansing to your life as you hear and obey.